Domestic animals are rarely associated with Antarctica. However, before non-native species (bar humans) were excluded from the continent in the 1990s, many travelled to the far south. These animals included not only the obvious sledge dogs, but also ponies, sheep, pigs, hamsters, hedgehogs and a goat. Perhaps the most curious case occurred in 1933, when US Admiral Richard E. Byrd’s second Antarctic expedition took with it three Guernsey cows. The cows, named Klondike Gay Nira, Deerfoot Guernsey Maid and Foremost Southern Girl, plus a bull calf born en route, spent over a year in a working dairy on the Ross Ice Shelf. They returned home to the US in 1935 to considerable celebrity. Keeping the animals healthy in Antarctica took a lot of doing – not least, hauling the materials for a barn, a huge amount of feed and a milking machine across the ocean and then the ice. What could have possessed Byrd to take cows to the icy south? The answer we suggest in our recently published paper is multi-layered and ultimately points to Antarctica’s complex geopolitical history. The cows’ ostensible purpose was to solve the expedition’s so-called “milk problem”. By the 1930s, fresh milk had become such an icon of health and vigour that it was easy to claim it was needed for the expeditioners’ well-being. Just as important, however, were the symbolic associations of fresh milk with purity, wholesomeness and US national identity. Powdered or malted milk could have achieved the same nutritional results. 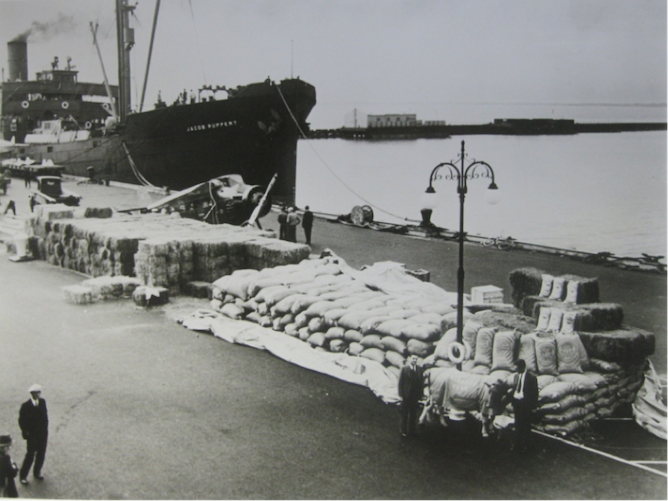 Previous expeditions, including those of Ernest Shackleton and Roald Amundsen, had survived just fine with such products. 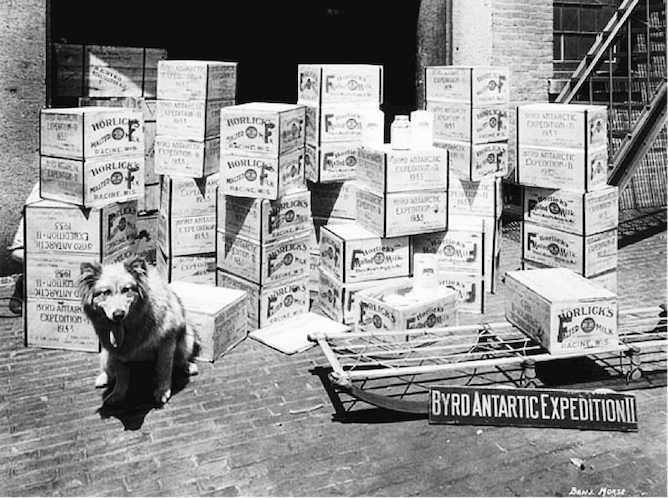 What’s more, William Horlick of Horlick’s Malted Milk sponsored Byrd’s second Antarctic expedition; the seaplane Byrd used was named for this benefactor. So if fresh milk was not actually a health requirement, and other forms were readily available, why go to the trouble of lugging three cows and their accoutrements across the ice? 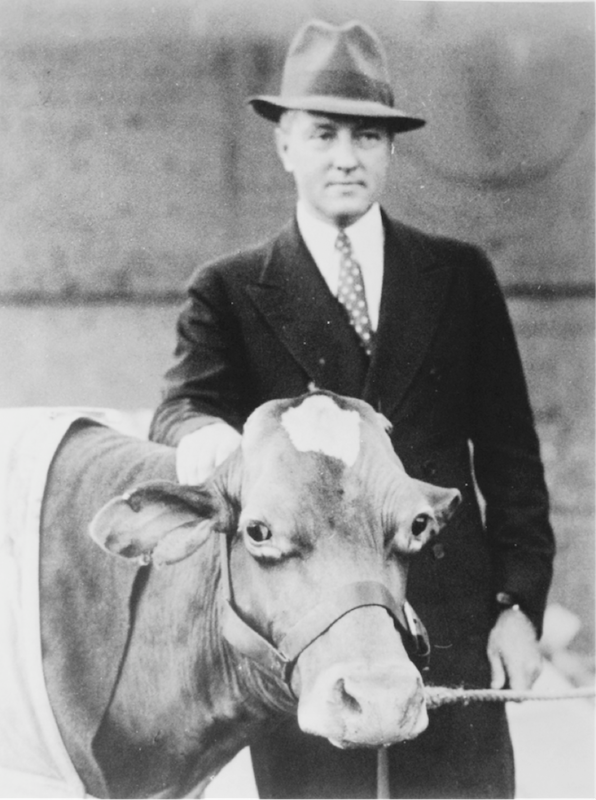 The cows represented a first, and Byrd well knew that “firsts” in the polar regions translated into media coverage. The expedition was privately funded, and Byrd was adept at attracting media attention and hence sponsorship. His backers expected a return, whether in the form of photographs of their product on the ice or mentions in the regular radio updates by the expedition. The novelty value that the cows brought to the expedition was a valuable asset in its own right, but Byrd hedged his bets by including a pregnant cow – Klondike was due to give birth just as the expedition ship sailed across the Antarctic Circle. The calf, named “Iceberg”, was a media darling and became better known than the expeditioners themselves. 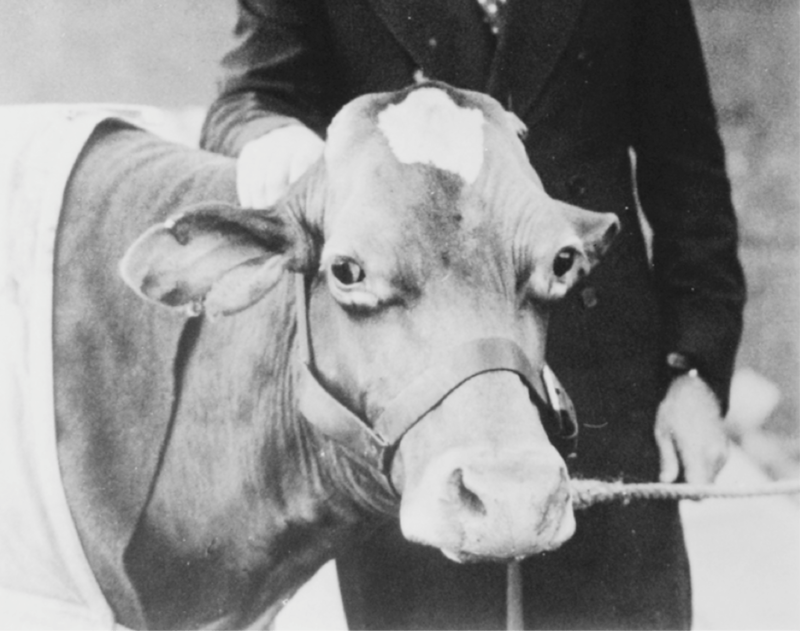 The celebrity attached to the cows helped the expedition remain in the headlines throughout its time in Antarctica, and they received an enthusiastic welcome upon its return. Although the unfortunate Klondike, suffering from frostbite, had to be put down mid-expedition, her companions made it home in good condition. They were feted on their return, meeting politicians in Washington, enjoying “hay cocktails” at fancy hotels, and making the front page of The New York Times. It would be easy, then, to conclude that the real reason Byrd took cows south was for the publicity he knew they would generate, but his interest in the animals may also have had a more politically motivated layer. A third reason for taking cows to Antarctica relates to the geopolitics of the period and the resonances the cows had with colonial settlement. 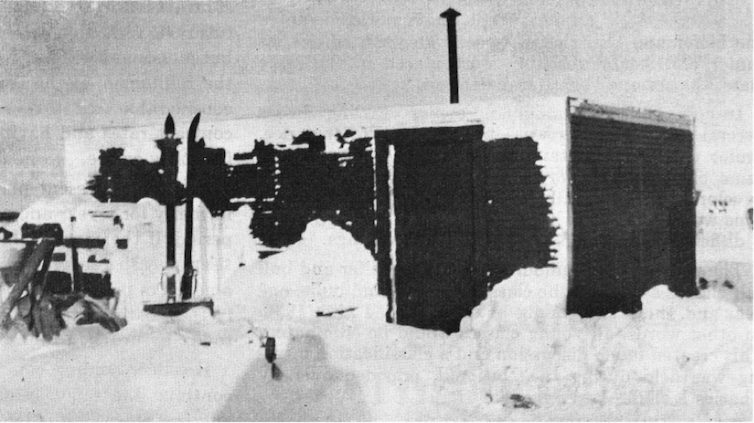 By the 1930s several nations had claimed sectors of Antarctica. Byrd wanted the US to make its own claim, but this was not as straightforward as just planting a flag on the ice. According to the Hughes Doctrine, a claim had to be based on settlement, not just discovery. But how do you show settlement of a continent covered in ice? In this context, symbolic gestures such as running a post office – or farming livestock – are useful. Domestic animals have long been used as colonial agents, and cattle in particular were a key component of settler colonialism in frontier America. The image of the explorer-hero Byrd, descended from one of the First Families of Virginia, bringing cows to a new land and successfully farming them evoked this history. The cows’ presence in Antarctica helped symbolically to turn the expedition base – not coincidentally named “Little America” – into a frontier town. While the US did not end up making a claim to any sector of Antarctica, the polar dairy represented a novel way of demonstrating national interest in the frozen continent. The Antarctic cows are not just a quirky story from the depths of history. As well as producing milk, they had promotional and geopolitical functions. On an ice continent, settlement is performed rather than enacted, and even Guernsey cows can be more than they first seem.